Earlier today, YouTube started enabling the Material Design YouTube site for everyone, and announced a new logo. 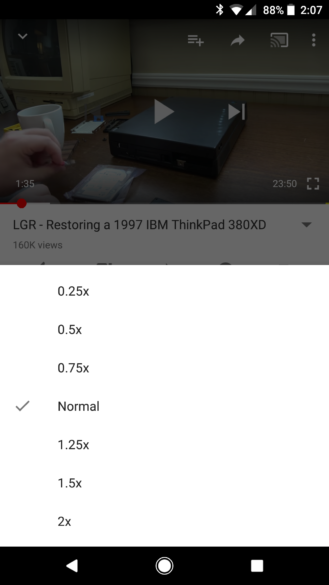 But a few changes were also revealed for the Android app, which are included in today's YouTube 12.32.60 update. The YouTube desktop site has had video speed controls for a while, but never on the mobile apps. The feature first appeared in the Android app earlier this month, as a server-side test. The 12.32.60 update seems to activate this feature for everyone. You can find the speed controls by tapping the menu icon on a video, and selecting the Speed menu item. A variety of options are available, from 0.25x all the way to 2x. 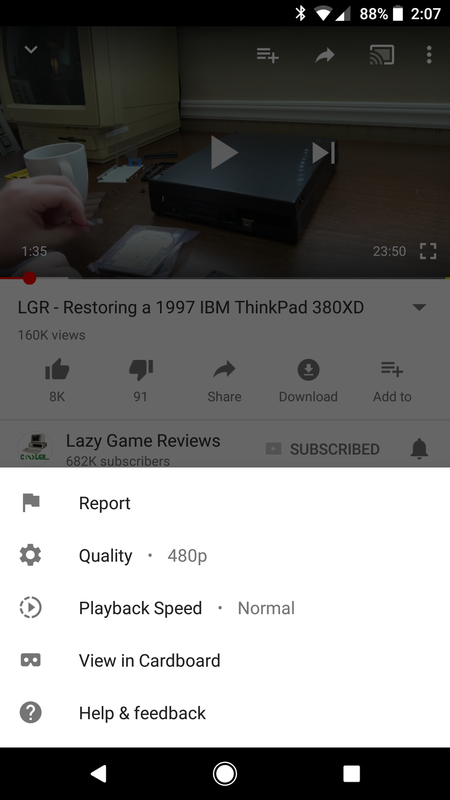 YouTube's new logo has also made it into this update. There isn't really anything else to say about this change, so just direct your attention to the below screenshot.